If you’ve ever had more than one person manage the entry of customers and vendor addresses then you may have run into an issue where the address block is partly capitalized. For example you may notice that the name and street address are in lowercase while the city and state portion are in all uppercase. This might be because Sage performs an automatic lookup on the city/state based on the zip code you enter. When the city and state information is found it will be inserted to your system using either all uppercase or mixed (upper and lower) — depending upon the option you set. The problem that can occur is when the person doing the data entry is entering a customer or vendor address in all capital letters while the zip code lookup is filling the city/state information in mixed case (or vice versa). Luckily as Brett Zimmerman from my 90 Minds Consulting Group points out — there is a fix! Check the link below for the directions and utility (included free with MAS 90 and MAS 200) to correct the address capitalizations in MAS 90 or MAS 200. What Operating Systems are MAS 90 or MAS 200 Compatible With? One of the top questions that we receive about Sage ERP MAS 90 or MAS 200 is whether the programs are compatible with a certain operating system or not. 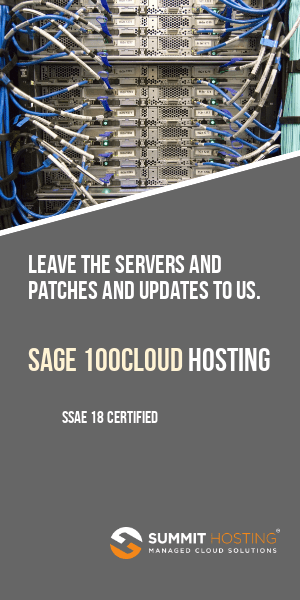 Sage North America publishes a series of guides that explicitly detail which operating systems and hardware configurations the supported versions of MAS 90 and MAS 200 will reliably operate with. The training department at Sage North America have just posted another video regarding the new Sage MAS Intelligence reporting tool. Sage MAS Intelligence is the replacement for FRX Financial Report Writer which Microsoft is terminating support for at the end of next year. FRX had been the recommended financial report writer. 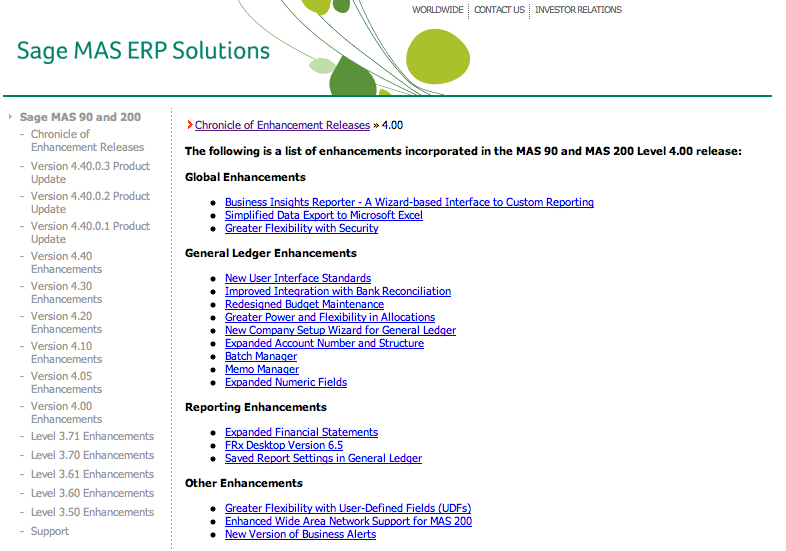 With the decision by Microsoft to eliminate their product – the new recommended reporting tool is Sage MAS Intelligence. Each user of MAS 90 or MAS 200 will receive a free copy of this program along with one user license. Watch for a notification from Sage in the coming weeks that will alert you to the availability of Sage MAS Intelligence. Below are the notes that I took with Robert Wood (DDFCGI) at the April 2, 2010 web session hosted by Sage. The session topic was “tips for a successful MAS 90 / 200 upgrade to version 4.40”. Keep in mind that these are tips – and are NOT an exhaustive “how to”. The concepts discussed here were current as of April 2, 2010 but probably will change as future releases fine tune the process. If you are an end user – please work with a qualified Sage Business Partner to upgrade your MAS 90 or MAS 200 system.